It's hump dayyyyyyy! 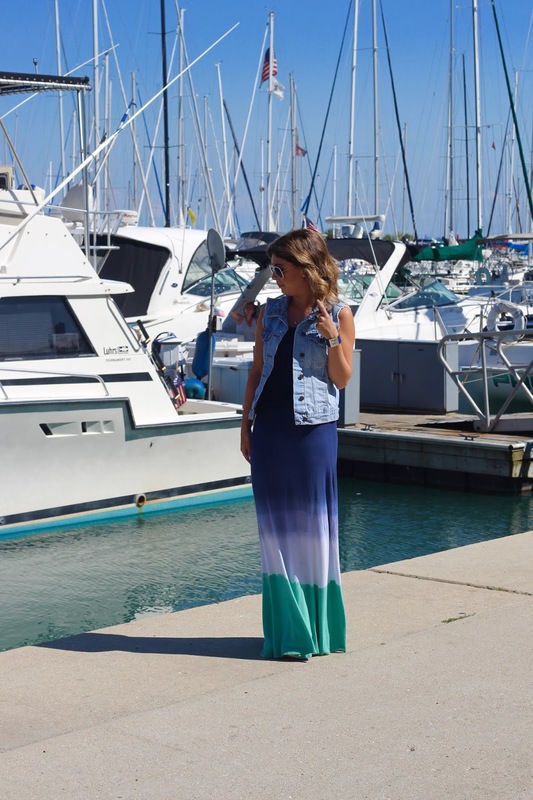 And today's #ootd is a nautical take on a maxi dress. 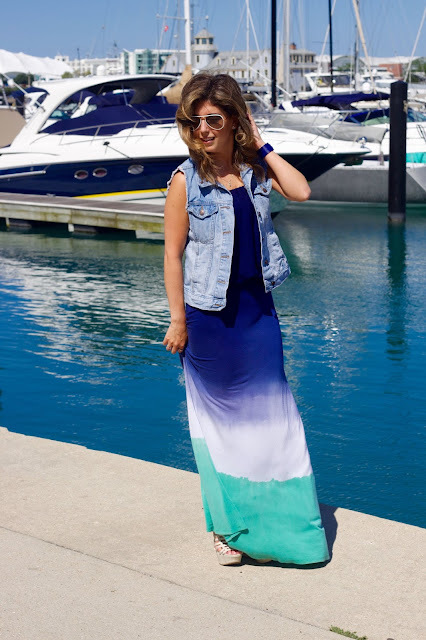 I love a good maxi dress because they make you look put together without having to try super hard. To add some flare to this maxi I added a denim vest and my favorite ray-ban sunnies. Because I didn't have time to get this maxi dress shortened I paired it with some high wedges (petite girl problems). Luckily the dress wasn't too long with my wedges! 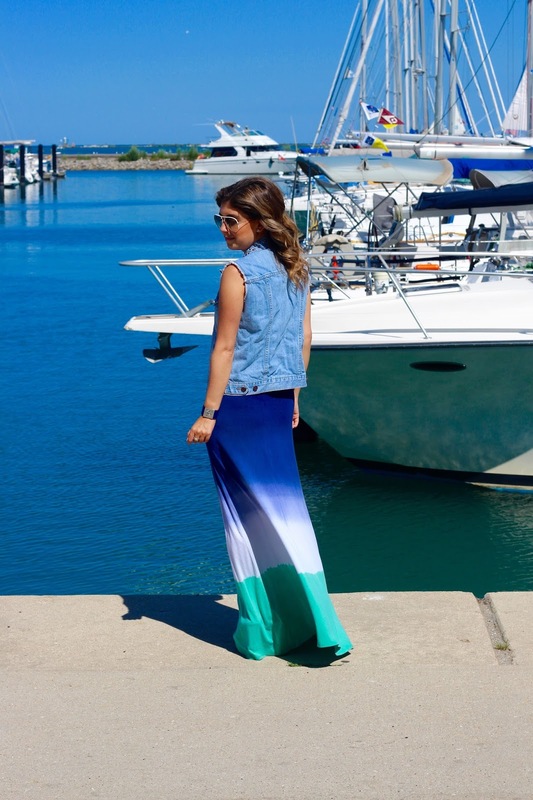 Its the perfect outfit for a day at the harbor with some friends! 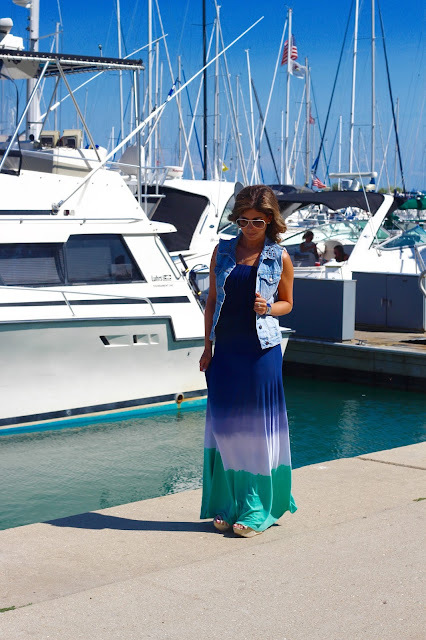 What are some of your favorite ways to wear a maxi dress?